Tomorrow, Easter Sunday, Raven Marine will lift Bright Water onto a ship, secure it, and deliver it to Victoria BC (or equal) for offload. The ship will stop in Ensenada, Mexico, and then cruise past the entire west coast of the US to Canada. I think it can’t stop here because of the Jones Act. With some luck and planning, Nancy and I will be there for the off-load. Yes. It is terrifying. We’ll see. Cool, huh? So will it hit us? In the old days, we would take a series of compass bearings, either visually or with the radar, and try to see if it was passing ahead or behind us. Not easy in rough water. If the ship stays on the same compass heading (bearing) but gets closer, it will run you over. 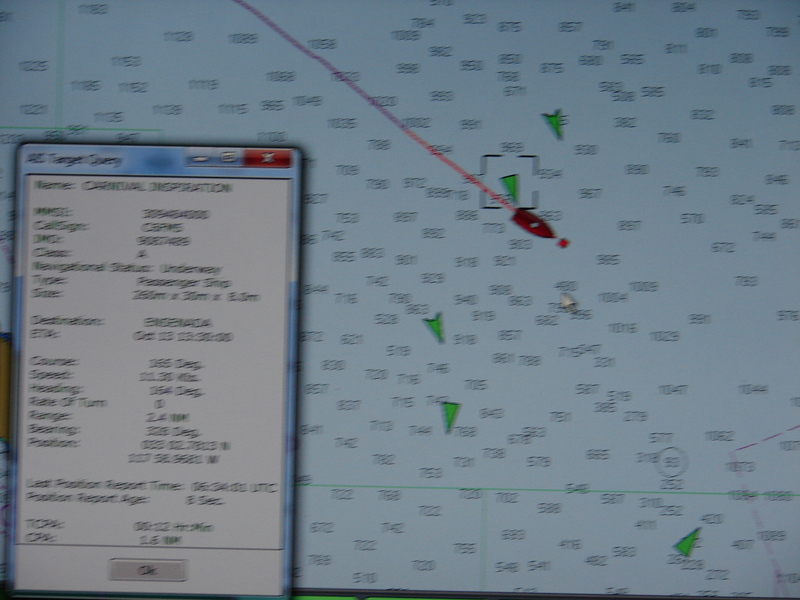 We can see the name and size of the ship, his speed and bearing, and the PC or chart plotter will calculate the Closest Point of Approach (CPA) and Time to CPA. We can also wobble over to the VHF radio and call the ship directly to discuss his plans, if he sees us, and who will do what to avoid disaster. In this case the very nice Italian helmsman was showing us on his chart plotter as well and had just altered his course to avoid us by over a mile. 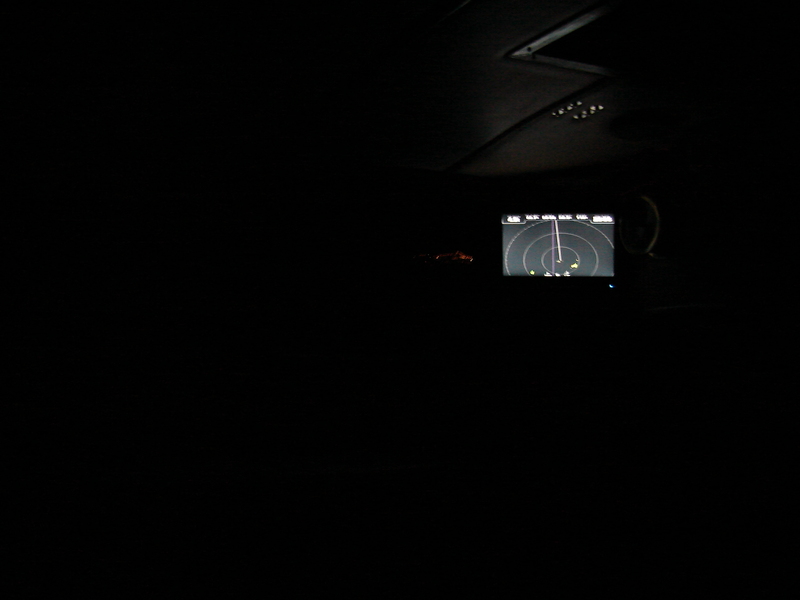 We could see him pass a mile aft of us out the window and on the radar repeater at the same time. We had four similar situations on the busy cross to San Diego from Catalina Island. Everyone was equally cooperative, except for one. This porcupine was darting through the shipping lanes all night, presumably giving the crew several firing/targeting exercises. He was within 10 minutes of running us down (CPA=0 for the previous five minutes) before we called him. 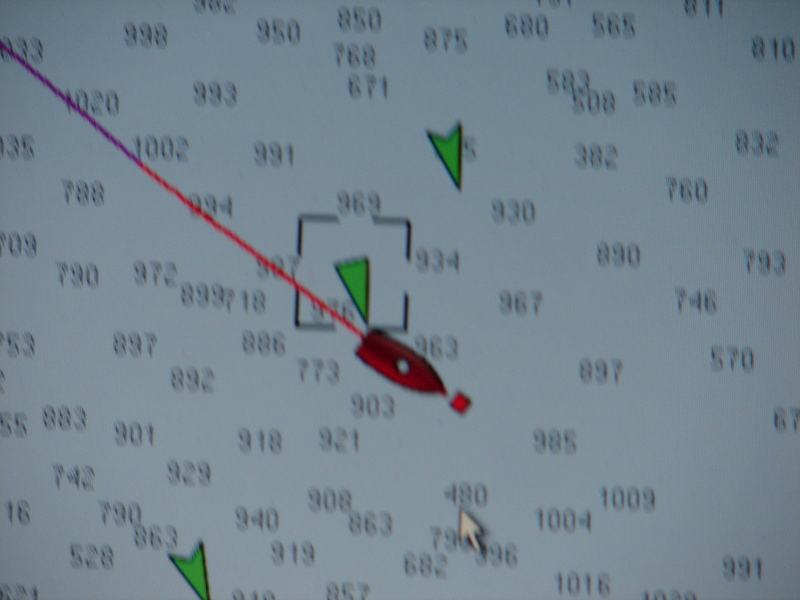 He hadn’t seen us on radar and wasn’t displaying class “B” targets on his AIS. 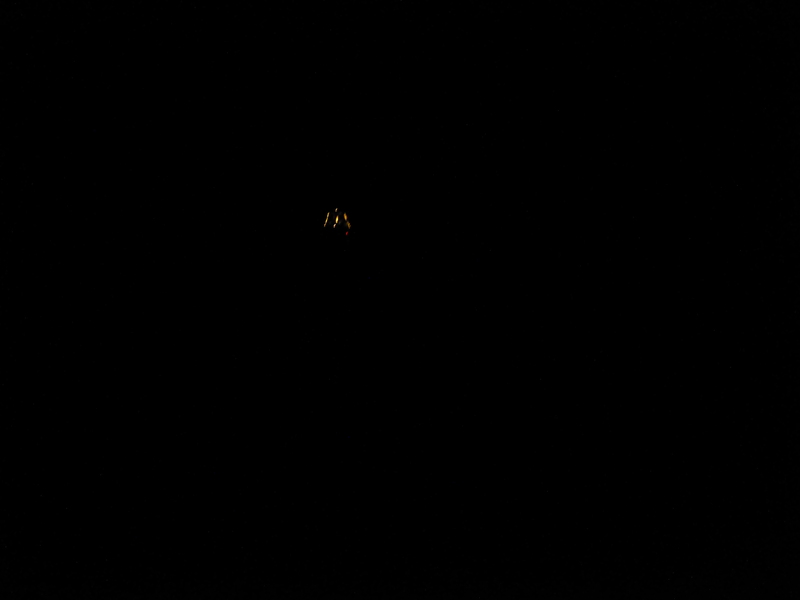 His AIS signal only showed “US Government Vessel” and not a hail-able vessel name, so we waited. After we talked to him he shut down. He arrived at San Diego at the same time as us three hours later at dawn. 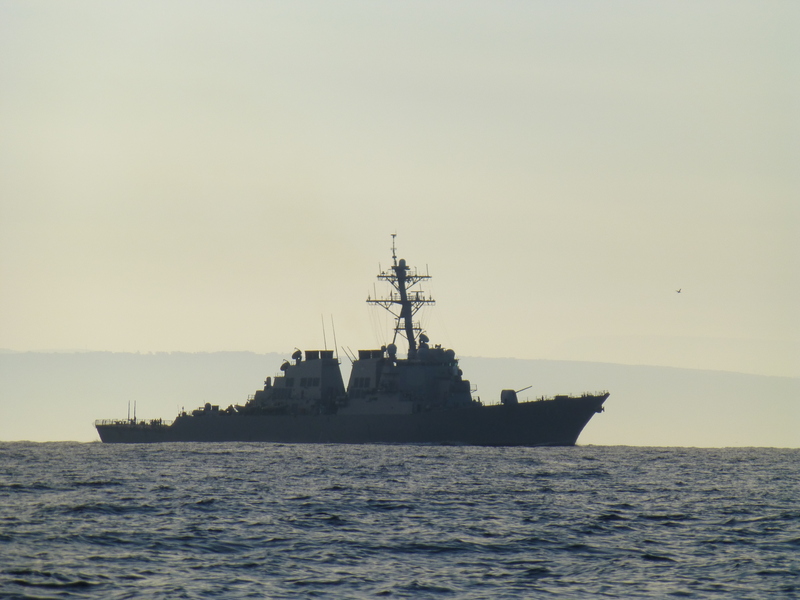 He would have left a mark, too: http://en.wikipedia.org/wiki/USS_Higgins_(DDG-76).